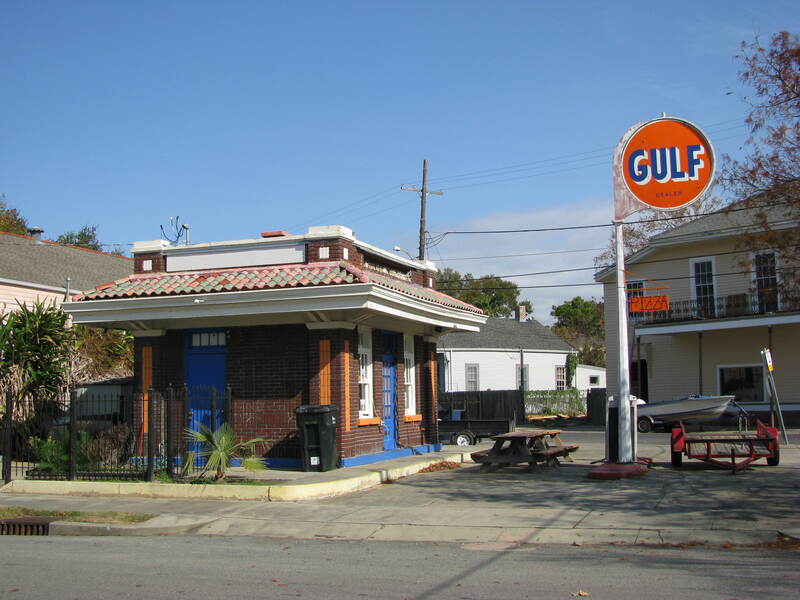 This used to be the longest continuously functioning service station in the South. It closed in 1990. Photo taken in Algiers, Louisiana. If you are in the area and what to see a little history, it is located on 446 Pelican Avenue. This entry was posted in Travel, Travel Photos and tagged Algiers, American history, Gas Stations, Louisiana, New Orleans, Photos, Travel, Travel Blog, Travel Journal, Travel Photo, Travel Photos. Bookmark the permalink. Interesting-looking building indeed. 🙂 Enjoy your weekend! Amazing that it was able to last that long. I love soaking up history. Me too…history has always been one of my passions. The whole neighborhood is quite charming. Thanks! And I haven’t been to New Orleans yet..!! David Simon’s “Treme” almost pushed me the last bit, we’ll see what the future brings.. I haven’t seen Treme, but New Orleans is a wonderful town. The atmosphere, the people, the food, the architecture…all of it is amazing. That is so cute! Such a pity that it had to close. I know…hopefully they will find a new use for it. So sad that these institutions can’t continue….the little ones are the best part of us I think. They have more character. I remember seeing places like this on our roadtrips in the Mid-West. This little gas station is still so well preserved. I’ve photographed my share of closed down stations and none look as good as this one. Very nice photo that is full of character and color. I’ll have to keep my eye out for other stations to compare. I hardly ever see gas stations in London though. Thanks Francine. That little building has loads of character! I hope Algiers can find a new purpose for it. That would be great. Even though it is cute, it would be nice for it to have a purpose again. A little slice of Americana! Too bad it closed. It’s such a cute little building! I love this photo. We do not have Gulf, but I remember the time we had. It has been a long time since I’ve seen one.